It was the day before Thanksgiving. We had a big dinner planned at our place for the next day, with nearly 40 family and friends coming, so I had a must-do list a mile long scribbled on a legal pad, and another list two miles long in my head. (And I am not exaggerating.) I had a headache and was getting bundled up to do my chores (not that those two statements bear any relation to each other). Little Mack and I had set up the big live-trap the night before, and I had a fleeting curiosity about if we had caught anything, but I was too distracted by the responsibilities of the day to be curious for long. Plus, we’d baited the trap over and over and over, without catching anything. Maybe this varmint was just too smart for our trap. Of course I couldn’t resist my little boy’s pleas. I reached up to rub my forehead. I sighed. I was such a slave to my children. But I couldn’t seem to help myself. I helped my boy find his boots, the proper socks (“Only the black ones with the golden toes, Mom,”) a warm hat and a jacket, while I got more and more uncomfortable in my layers of warm clothes. I really didn’t think there would be anything in the trap–there never was anything in the trap–my head really hurt–I couldn’t believe tomorrow was Thanksgiving–I had so much to do–would somebody please let the dogs out?–Had I even eaten breakfast–no, no I don’t think I had–Finally we were both ready. We stepped out into the early morning cold, and walked across the yard, chatting about the day ahead, headed towards the chicken coop. My daughter’s boyfriend from Hawaii was staying with us, and he was going to roast a pig in our back yard. We had 30 pumpkins to move that we were going to shoot (and blow up!) the next day. Oiy. So much to think about. Quite a few things to worry about. I was glad to see that the yard wasn’t already full of chickens, as it had been yesterday morning. So the Dreaded Varmint hadn’t forced his way into the coop last night, apparently. Dumb thing gave me a day off. Then, as we got closer, I could see that the front door of the live trap was not standing open any longer. If it had still been standing open, I knew that I would have been able to see the edge of the door past the corner of the chicken coop. That’s the way we had set it up. But the door of the trap had been tripped, and was therefore hidden. The dogs were still in the house, so it couldn’t be Bea in it again. The rest of the trap was hidden by the coop, and I got shivers up my back when I realized that something was in that trap. Could have been one of our cats, of course, since we baited it with an open can of wet cat food. Probably that was it. Smokey, maybe, or Tristan. Those two fellas were always hungry. Silly cats. I stopped, though I could barely wait. I didn’t let on to him that I could see that we’d caught something. Something had gotten caught in our trap. Even if it was just one of our cats, the trap had worked. At last we walked in front of the chicken coop together, holding hands, and around to the far side, to the trap. The front door of the trap was closed. The Dreaded Varmint, Gentle Readers, was trapped inside. 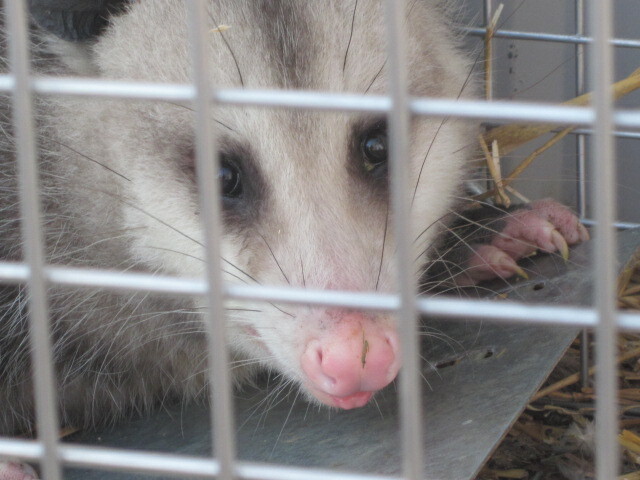 Trapped inside our huge live trap was the biggest, healthiest, sleekest, fattest opossum that I’ve ever seen. We stood and looked at him for long moments, then we would stop to congratulate ourselves on our bravery and persistence and courage, and then we’d gaze at him for long moments again. I wouldn’t be surprised at all if this particular opossum had killed Silk and Oakley, and a lot of the other chickens that we had lost this summer. On the other hand, I had a feeling that our place had been under siege by a host of varmints, driven to be more daring and cunning because of the drought. 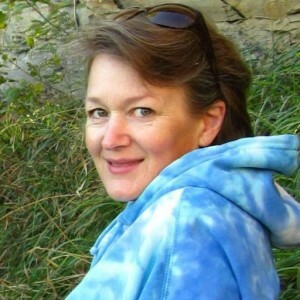 Creeks and farm ponds around us have all dried up (our little pond is now little more than a muddy puddle), and so I would imagine many prey animals–squirrels and bunnies and so forth–have had to move on to areas less, well, arid, to live. Canada, maybe. Or close to the ocean. So the local predators were (and are) pretty desperate. But at least we caught this one, and by the looks of things, he had consumed more than his share of the dozen or so hens we lost this summer. “What are we going to do with him?” asked little Mack, finally. “I’m not sure,” I admitted. Bryan had already gone to work, and wouldn’t be home until bedtime. I really needed to ask him to teach me how to use the shotgun. I hated to make the varmint sit in the cage all day long without food and water, and I sure as heck wasn’t going to feed him. I had already fed him enough, indirectly, after all. And that, of course, Gentle Readers, is what we did. And Grandpa–my dad–was out in less than fifteen minutes, dandy little handgun in his pocket. He gave little Mack and me a lesson on safe handgun usage, and then he shot the Dreaded Varmint dead. Mack and I busied ourselves moving pumpkins while Dad accomplished this brave deed, and then we shot pumpkins with Dad’s little handgun for a while. It was fun. Satisfying, in a way, though perhaps not as satisfying as knowing that we’d finally taken care of the Dreaded Varmint. He had been the most formidable predator we’d ever had, and we had gotten him. Amy…that looks suspiciously like the Dreaded Varmint that lived (and pooped) under my house all spring/summer/fall/winter one year. I suspect mine met his end under 4-18 wheels on the highway. Cathy, I thought he looked familiar. You don’t have any passing regrets that we offed him, do you? Yuck…That picture looks quite close up…glad you were able to take care of it. That varmint couldn’t get at me, no matter how close to the live trap I got, but he sure did hiss at me! Ew, aren’t opossums just the ugliest critters! Now, I am surprised though. With all your countrified ways, I expected a recipe for possum stew and a DIY possum-skin hat pattern. Oh my goodness Amy dear that was quite the adventure I just went on with you. So many memories you jarred…. One night years ago “they” the chicks, were BOCK BOCK BOCKING to beat the band! Hubby ran out to see what was happening when I heard him holler……” Get the gun, a possum’s in the coop….he killed your duck!” “WHAT? MY DUCKY DOO? My precious precious white Peking duck who lived with the chickens…..gone?”Yes…gone, his chest…”sniff”… ripped wide open. Didn’t even eat em. The GRRRRRR…. possum had simply killed him, that was all. I had seen on a nature program once that possums do that, they just kill to kill and then they showed one attacking a helpless wittle bunny…. a bunny mind you, the nerve….well I was soooo upset I turned to go upstairs for the gun but then….I saw the croquet mallets first……yep, you guess it, I was too upset to think so I simply….responded. 5 heavy wacks later and the critter was toast. btw their heads are hard as rocks! Every time after that when I’d see a dead possum along the road, for some reason I just can’t help myself from whistlin a little bit of the “Hallelujah” chorus. Lucy! 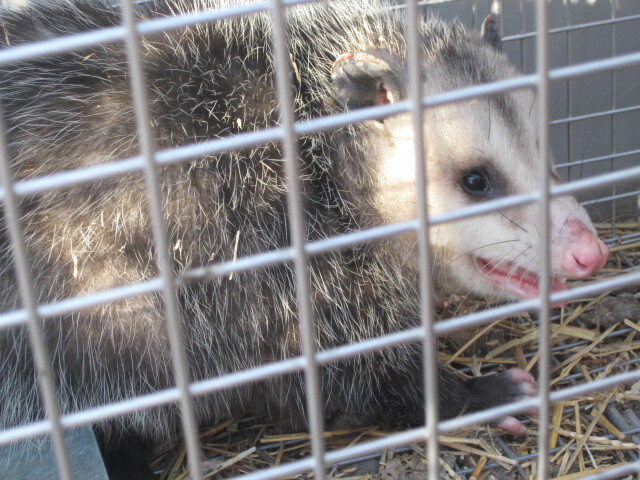 I definitely share your loathing of opossums–even up to the day when my sweet mom called me with this: “Amy, I saw a mama opossum killed on the highway, but she had a bundle of babies–still alive–clinging to her. Would you want to raise them?” I am the world’s biggest softie where little critters are concerned, but I responded with a stout and heartfelt (yet polite, since it was my sweet mom) “NO!” I’ve lost more chickens to opossums than any other predator, I think. You cracked me up with your story. A croquet mallet! Well done! I’ll bet that was quite satisfying. And your poor Duck: R.I.P.! Can sympathize entirely. I enjoy your flair with words and storytelling! We, just last month, caught a not-so-dread varmint. It was a rather young, from the size of it, opossum. We weren’t even trying. We had moved some gear around, including a live trap and for some reason the live trap was set open. It wasn’t even baited. We had the trap from years back to try to catch the raccoons that were helping themselves to our corn. We never caught any raccoons, but opossums seem to really like that trap! This will be the third opossum over several years and this time with no bait! We had a friend who owned a .22 kill it and I dealt with the remains. I’m glad that it never got to grow up to become a true dread varmint. We only have three chickens and my son treats them more like pets than farm animals. I’m tempted to leave the live trap open to see if we catch any other varmint. Though I might be increasing the intelligence of the varmint population by taking out the foolish, curious ones. Teresa, you may indeed be surprised by how many other critters you catch if you leave the life trap baited and open! 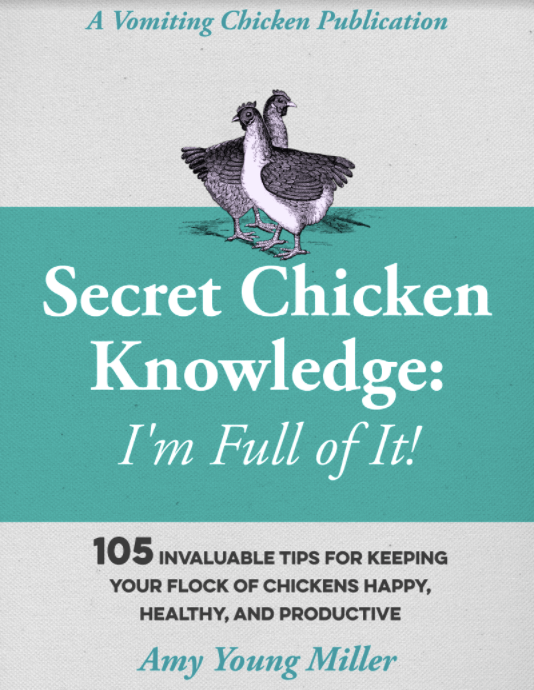 Just be sure to check it a couple times a day–we’ve caught our dog, cats, and chickens in ours!